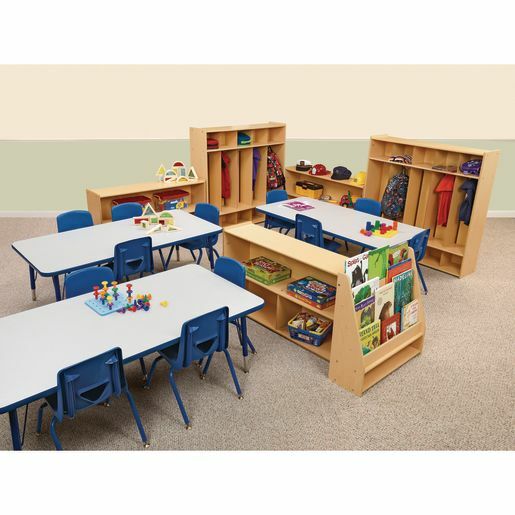 Our best value for basic preschool classroom furniture! 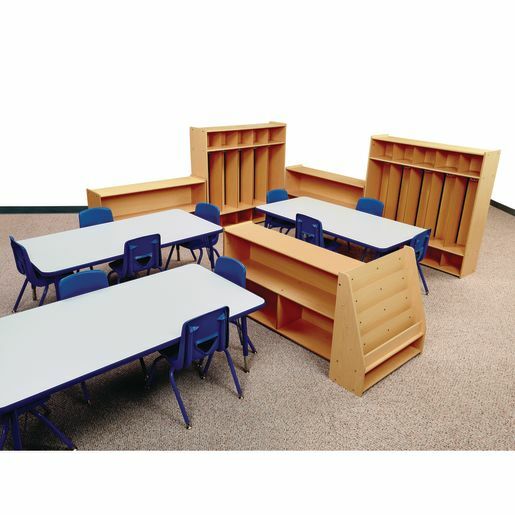 Ready-to-assemble Angeles Value Line™ lockers and divided shelf units offer storage for 12. Three 30" x 60" tables with legs that adjust from 18" - 25"